Interested in the Friends? Join us to learn more on September 23rd. 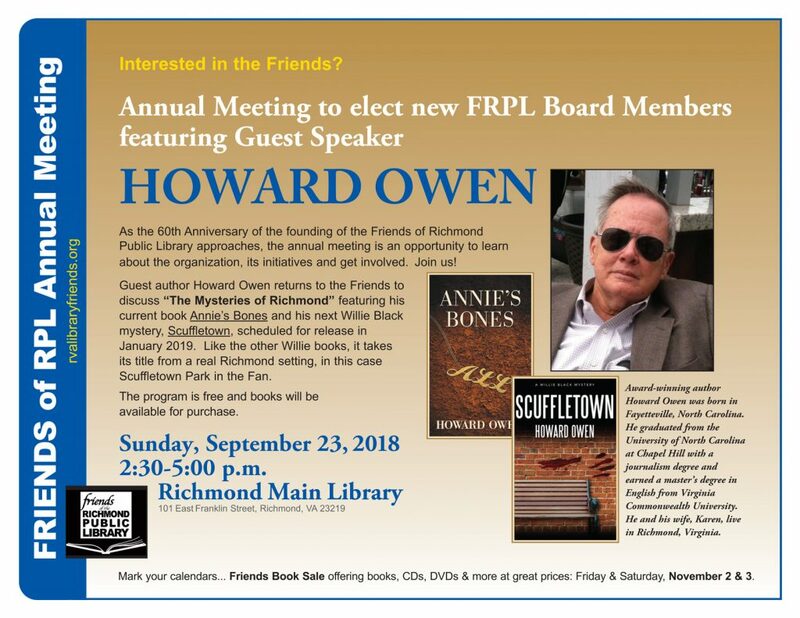 Plus, Howard Owen!